The Certified Positive Psychology Coach® Program is in progress, but you can still be among the first to qualify for this important new coach certification. Positive psychology is sweeping the world of coaching, personal development, and human resources departments. This is the only program that fully integrates positive psychology and neuroscience with advanced coaching skills to prepare you to be a professional positive psychology coach. "When you have achieved a credential through Julia's school, you know that you have the skills to be a world class coach." "As a graduate of the program, I highly recommend it for both new and experienced coaches. Thank you, Julia Stewart!" "Just wanted to share that I love the coaching certification I did with your program, and find it's really set me apart from some other coaches. Not just the positive psychology piece, but teaching right from the start master level coaching." "I selected this program because having an explicit focus on positive psychology as a basis for effective coaching practices provides additional tools for supporting those we serve. I love emphasizing the possibilities for a person's life on their terms, in the ways they thrive." There are two parts to this innovative program: Take just Part 1, Intro Level, if you're a new coach, or request a customized program, if you have previous ICF-approved training and/or an accepted credential in positive psychology. It's also possible to enroll in just Part 2, if you meet the requirements. See below for details! Be sure to fill out the brief form to the lower right to receive more information about this new coach training program, or get the Certified Positive Psychology Coach® Fact Sheet and visit our FAQ Page here. Get the List of CPPC Modules and Prerequisites Here. View the Current CourseSchedule Here. TOTAL NUMBER OF LIVE CLASS HOURS IN PART 1 = 100 ICF Approved for 125 hours. Additional 64 hours of recorded Master Coach Training for advanced coaches is optional along with additional services such as Q&A classes on coaching business success, positive psychology coaching study groups, Coach 100 for business-building and ICF certification prep, plus your own webpage on our positive psychology coach directory. PART 1 APPROVED BY THE ICF FOR 125 HOURS. And now Certified Positive Psychology Coach® includes the new Coach 100 Business Builder, that also helps you achieve ICF Certification! Fully Alive with Positive Psychology Personal Development is another bonus. Or Save $490: Pay all at once for only $5400USD. Registration is by telephone or get started now with the online application. "I have loved every minute of the program and l am looking forward to continuing in the master level program. The learning has been amazing and It has been so fulfilling to be able to bring all of the positive psychology tools to my clients and witness all of the forward movement in their lives!" PART 2 APPROVED BY THE ICF FOR 85 HOURS. TOTAL HOURS: 210. Advanced Best Practices for Coaches – 4 hr Coaches discuss how they apply ICF Ethics and SCM Best Prax in real coaching relationships. PART 2 TOTAL NUMBER OF LIVE CLASS HOURS = 68 APPROVED BY ICF FOR 85 HOURS. Or Save $220: Pay all at once for only $2700USD. 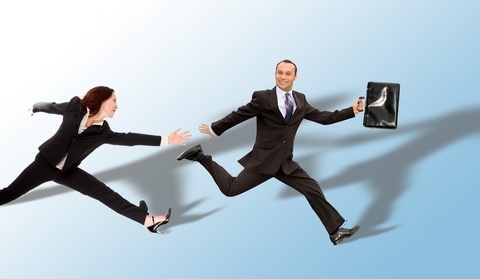 The Attract Clients Faster advanced business-building program is included with Part 2. Email info [@] schoolofcoachingmastery [.] com to ask questions or to make an appointment to ask questions or register by telephone. You already have a qualifying coach certification from the ICF or from SCM, but want specialty training and certification in positive psychology. We sometimes waive one or two modules under the above conditions. You can also take most modules individually. Here's the current upcoming schedule. Get the FREE Become a Positive Psychology Coach eBook here and learn all about this amazing new profession and how you can become a professional positive psychology coach who helps people be happier and more successful in their lives and careers. School of Coaching Mastery integrates positive psychology discoveries and interventions throughout its coach training curriculum. 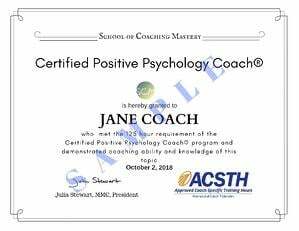 The Certified Positive Psychology Coach® Program is for coaches who want advanced training and experience in the art and science of positive psychology coaching. Master the most effective tools available for coaching. Brand yourself as a coach who uses proven tools, not empty promises. Get a credential that identifies you as a genuine professional. Be one of the first in your profession to be certified in positive psychology coaching. Enter a field where even the scientists are optimistic about human potential and possibility. Get the information you need to explain how and why your tools work. Get the confidence of knowing your work has scientific empiricism behind it. Stay up-to-date on the latest research on positive psychology and coaching. Get credit from the ICF for your hours of training. Join a community of inspired coaches who support and challenge one another. Expand your business: positive psychology is transforming many fields, including business, education, the military, government, psychotherapy, and more. In short, become a better coach; create a better business. Some positive psychology training programs will introduce you to coaching; this program offers beginner-to-master-level coach training using positive psychology. The Certified Positive Psychology Coach® Program is approved for up to 210 ICF ACSTH, which qualifies our graduates to apply for ICF ACC, PCC, or MCC without having to take the arduous portfolio route. The cost of your certification is included with your tuition and you'll get a free positive psychology coach listing in our coach directory. We invite you to sign-up for more information, so you can decide if becoming a Certified Positive Psychology Coach® is for you. Students with advanced standing may receive a customized program with appropriate fee reduction. We are already approved by the ICF for 210 ASCTH. Your instructors will include Julia Stewart, MMC, BCC, CiPP, President, School of Coaching Mastery, as well as accomplished positive psychology coaches who are ICF credentialed.. Julia has been teaching professional coaching since 2003 and has taught courses in positive psychology coaching since 2012. She is working on her PhD the science and philosophy of coaching, where she has studied positive psychology and neuroscience with Barbara Fredrickson, Tal Ben Shahar, Rick Hanson, Dan Siegel, and others. If you're interested in this innovative new program, be sure to fill out the brief form to the right. We'll keep you updated! Or apply now. 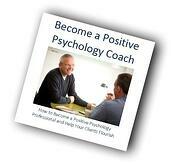 Is positive psychology coaching for you? What's so exciting about positive psychology coaching? How can you join this fulfilling career? "You have created a VERY powerful collection of training programs. By combining the presentation of new ideas with an open exchange of ideas and the all-important live coaching segment(s), I am learning each week and seeing a positive impact on my clients. Thanks to you and your team." “I coach executive leaders to become meaningful and transformational leaders and working teams to become teams that thrive, flourish and function together in discovering their optimal performance level. “I coach managers and executives to be their greatest at interpersonal skills and achieve organization and personal goals.